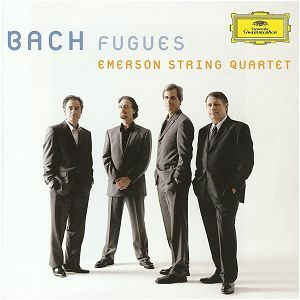 Transcriptions of JS Bach fugues from Emanuel Alloys Forester (+ one from Mozart) for a very modern sounding string quartet. Works for me. Pete Namlook passed away a few weeks ago, so I’m digging in a little, I haven’t listened to FAX in years. There’s a lot of favorites in my collection, but I haven’t heard anything new in ten years. Son of original member John Bonham, Jason is his own man on drums …but doesn’t swing as hard as Dad. He even sounds lost at times. Too bad they weren’t tighter for this show. Subtitled “Music for Brass Ensemble and Soloists”, this brass section sounds awesome…Wheeler on flugelhorn with four trumpets and five trombones. Some of the things I’ve been listening to. Eberhard Weber played hundreds of concerts in his time as a member of the Jan Garbarek Group, and each of them included an extended feature for the bassist alone, often effectively a spontaneous composition rather than a ‘bass solo’ in strict jazz sense. 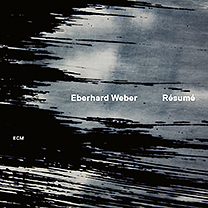 For “Résumé” Weber has returned to recordings of these solo sequences and reworked them into an album with its own sense of flow. The unique sound of Eberhard’s customised electric bass is heard here mostly in the context of his own keyboard settings and treatments, but also augmented by the saxophones and overtone flute of Jan Garbarek (on three tracks) and by the percussion of Michael DiPasqua. Based on live recordings made between 1990 and 2007 at locations from Karlsruhe to Santiago, the album was mixed in the South of France by Weber, Manfred Eicher, Michael DiPasqua and Gérard de Haro in 2011.